Counting down until Valentine’s Day, here is a new painting using “romance” as the theme. 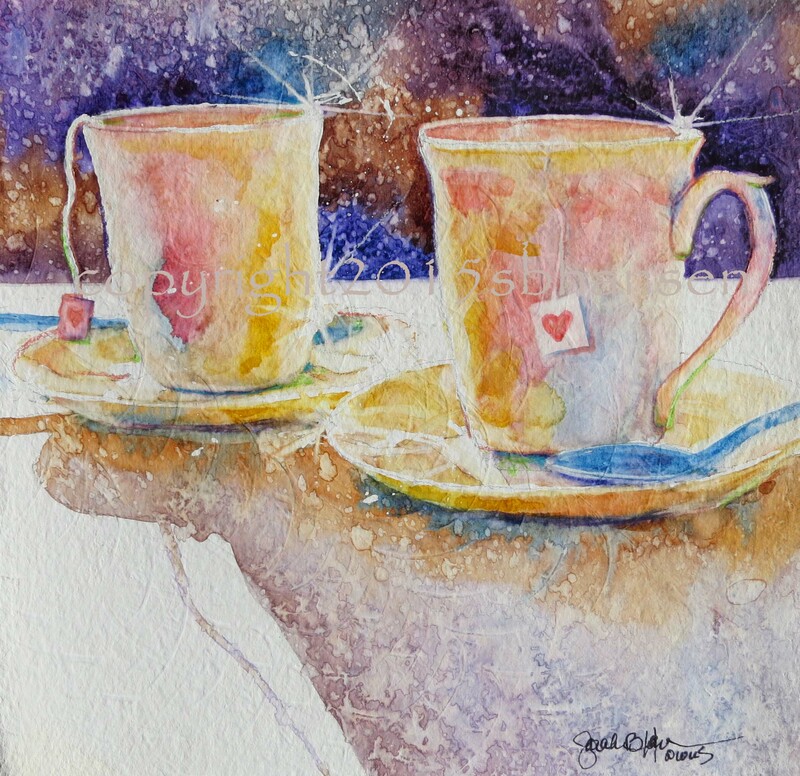 “Tea Date”…I had to do it, since I did “Coffee Date” last week, and I’m a tea drinker! Here it is! Since it’s a Valentine theme, I added little hearts to the tea bag holder-thingys. Let me know if you want it! It is very colorful in person. To purchase, send me an comment. I accept PayPal and will email a PayPal invoice. Shipping extra. All images and paintings on this site copyrighted by Sarah B Hansen.